Egyptian business tycoon Naguib Sawiris has announced that he has bought the home of late poet Ahmed Fouad Negm to turn it into a museum to display the poet's work and collectibles. "I hope his friends help me gather Negm's collectibles," said Sawiris, a 63-year-old billionaire who owns a series of successful companies and is the founder of El-Masreyeen El-Ahrar political party. The announcement was made at the fifth edition of the Ahmed Fouad Negm Award, which is sponsored by Sawiris and honours poets who write in colloquial Egyptian Arabic. The ceremony was held at the American University in Cairo. "The Negm prize is the best thing I ever did in my life," Sawiris said in an emotional speech during the event, which was attended by dozens of culture and arts icons. 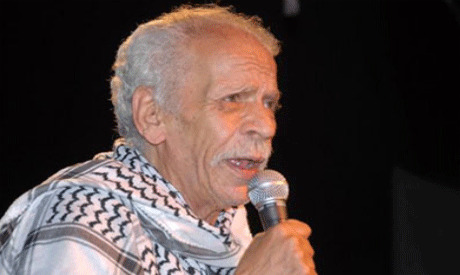 Negm, who died in 2013 at the age of 84, is an icon of political poetry who gave a voice to his country and the working class for decades. His involvement in politics landed Negm in jail for a number of years. The author of many well-known poems, Negm, known to his followers as Al-Fogammi, was a sharp-tongued poet since his start in the 1950s, before he was paired with famous musician Sheikh Imam Eissa to quickly become the most successful duo of the time.